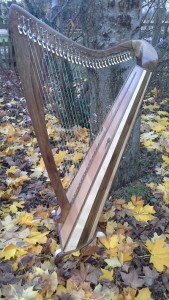 Callan 32 is a 4 1/2 octave 32 string student harp. 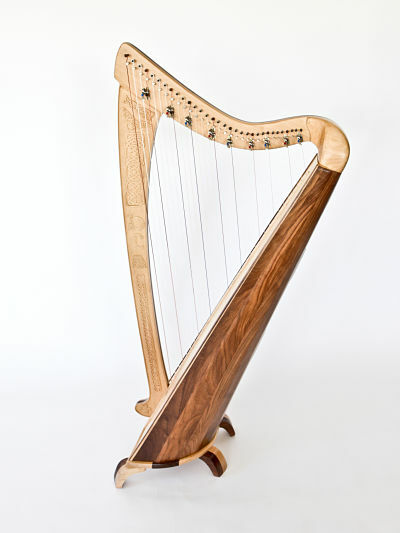 The triangular sound box makes it a more affordable model for students before moving on to a professional model. It is fitted with “Alliance Savarez” carbon fibre strings and the 8 bass strings are steel. 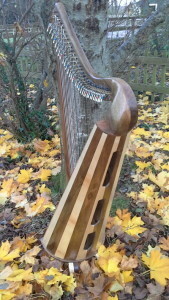 Sharpening levers are Camac. 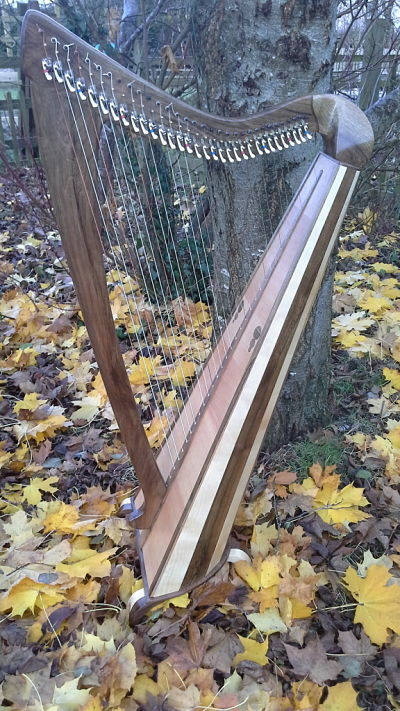 To date, I have built Callan 32 harps using ash, beech, cherry, walnut, birch, elm, sycamore, yew, horn-beem, and alder.